Snow in Australia? Am I crazy? It should be sunny and hot country, isn’t it? When I arrived to Australia first time I didn’t know you could see snow there and wasn’t thinking about skiing in Australia at all. During rainy and windy day in Sydney I was looking that to do during winter as it is too cold go to the beach and was no much fun to do anything else out doors during such weather as even sea was too rough for whale watching in Sydney. One weekend I spent in Canberra, but that to do next weekend? I know you can go skiing in New Zealand, but you need to buy plane tickets in advance to get good deals, so I started to look for such activities in Australia. Tasmania has similar climate to New Zealand and it has mountains and I thought it should be ski area there. But to my surprise the best ski resort in Australia are located much closer to Sydney. There are ski fields in Tasmania and Victoria, but the largest ski fields are in New South Wales on the boarder with Victoria state and actually the first ski club in the world in 1861 was established in Snowy Mountains in Australia. Who could thought Australia has such long history of skiing? 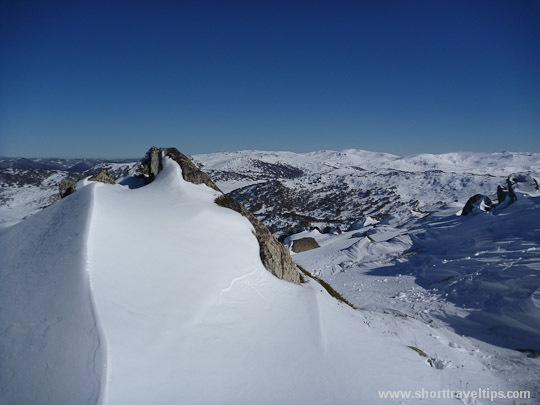 Two largest downhill ski resorts are located not far from highest peak (Mt Kosciuszko) in Australia. 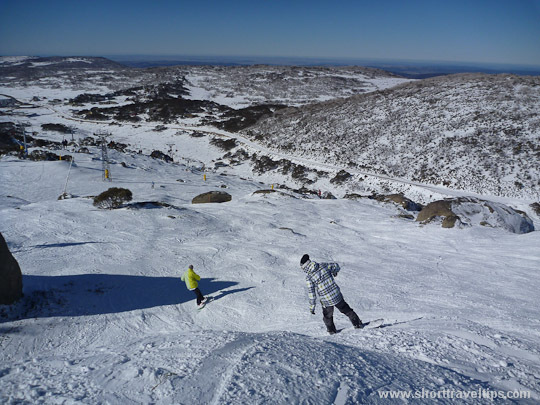 Thredbo ski resort has longest ski run and Perisher ski resort has largest ski fields – 12 square kilometers (4.6 sq miles) and it calls itself as largest ski resort in Souther hemisphere. Both resorts are located somewhere in the middle between Sydney and Melbourne and only ~60 kilometers (~40 miles) away from each other, so you can visit both on your trip to snowy mountains. Here is comparison of these two resorts if you want to choose one of these resorts. * you can go up to 2034 meters (6673 feet) elevation and then climb 20 meters (66 feet) to the nearest peak. Both picture bellow are done from that highest point. ** all prices are in Australian dollars. The price of lift pass and ski/snowboard rent shows how much you need to pay if you pay at the resort. You can get better deals by buying lift pass and hiring skies/snowboard online in advance. Or buy visiting resorts during low season. Check their websites for the deals. My choice was Perisher, because by lift you can get up to 2034 meters (6673 feet) elevation and climb another 20 meters (66 feet) to the peak of Mt. Perisher for fantastic view. I also need to note that you should carry snow chains as you may require to put it on in case of heavy snow in a ‘snow-ice’ risk section within the Kosciuszko National Park. Chains can be hired in Jindabyne and Khancoban or in Cooma if you are coming from Sydney/Canberra. So enjoy the snow but be careful and don’t underestimate snow in Australia, as it happened to these cross-country skiers. Thanks for this information I believe that their are only beaches and a flat land in the Australia but from now I can get a new place where ski also can be done. It seems you had a great day skiing.Would love to try it in the future. Yep, I have been in South Alps in New Zealand, they have really good slopes there. In Australia, you can have diving and surfing every summer and you can have skiing ever winter. There lots of cool places out there to check out! Australia is such a nice place to visit. This country has a lot to offer for the tourist. Diego is definitely right, you can have swimming, diving and surfing on summer days and you can do skiing in winter days. If you love hiking, you will have a great time in Tasmania. Australia can also offer great sporting tour and I have experienced watching Australian Open in Melbourne last 2011. Wow!! these pictures are so amazing and it seems you had too much fun out there. and seriously I am quite jealous on you about this. Any ways, Skiing is my childhood dream and after watching all these I’m curious to plan for this. Australia is at the southern most tip of the globe.It has been my dream to settle there a decade ago but could do it for personal reasons. I still love this country.Wish to visit some day. Whoa, that’s pretty cool. I had no idea you could go skiing in Australia. I automatically think beaches, but it’s a massive country. Thanks for the post. If you’ve never been skiing in Australia you should try it but it’s very different… there’s a lot more bush to be seen than snow! I agree Dee. I would prefer seeing bushes than snow in Australia, but it is interesting to see snow there at least once. There are many good ski clubs or spots in Australia. I wish I could go there in Melbourne this Christmas to try skiing. Is there curling in Australia? Mike, it is summer in Australia during Christmas, so you won’t able to ski then. 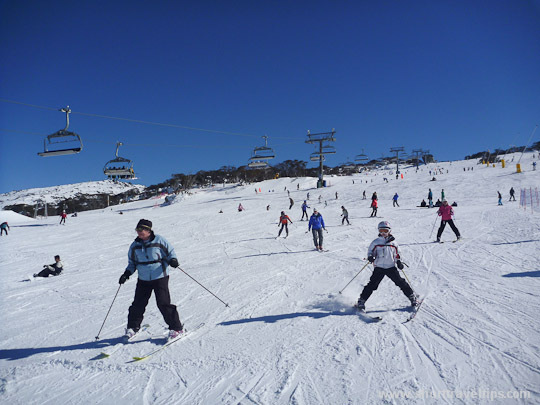 Skiing in Australia takes place in the high country of the states of New South Wales, Victoria and Tasmania, as well as in the Australian Capital Territory, during the Southern Hemisphere winter. 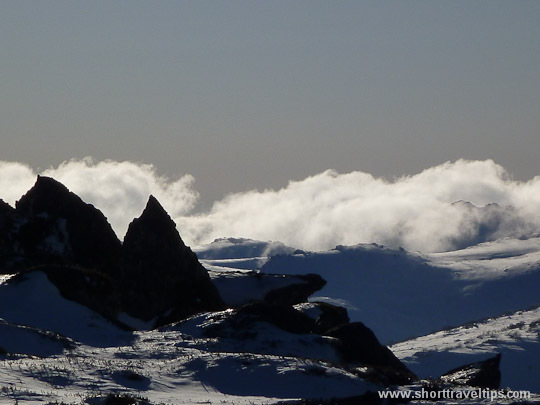 Skiing began in Australia at the goldrush town of Kiandra, New South Wales around 1861. The first ski tow was constructed near Mount Buffalo, Victoria in 1936. Australian skiers competed in the Winter Olympics for the first time in Oslo 1952 and have competed in all subsequent Games, winning medals at every Games since 1998. Malcolm Milne became the first non-European to win a ski race world cup in 1969 and Olympic medalists include Zali Steggall, Alisa Camplin, Dale Begg-Smith and Lydia Lassila in skiing and Torah Bright in snowboarding. Australia and New Zealand are the best for adventure sports like skiing. Many tourists come to these countries for adventure travel. But I would say New Zealand is a bit cheaper as compared to Australia. Kind of weird thinking that in such a hot country you can find snow! yes it is kind of weird, but I think it is the same with Africa, as you can skii/snowboard there too, but safaris or pyramides are in minds of most people traveling there. Australia is a nice place. They have a dessert, rich wildlife and it also snows there. It’s like a complete package for travelers. I like that AU has all activities I need, skiing and diving. Never realised you could go skiing in Australia. That’s me set for my fun fact of the day. Thanks for the information provided on Skiing in Australia along with the temperature. Looks like a beautiful place! I wish I could ski! I love this! A couple of years ago I finally decided to be honest with myself about the fact that I’m not crazy about downhill skiing. There’s a lot of sit-and-wait which is not exactly my specialty, and I much prefer to take the dog snow shoeing. I’m always up for a hot chocolate. I Never knew you could SKI in Australia! Thats amazing! Looks like plenty of fresh powder at the time the photos were taken too, good times! Awesome pics! Looks like good snow and powder too! I miss skiing so bad! Skiing in Australia is awesome when they have a good snow year! We are headed to Mt Buller this year – so far not great!! Yea, That’s right Perisher is most popular place for skiing in Australia. Great pics..n information on skiing. Honestly, the sheer variety of landscapes in Australia is mindboggling. In my head it’s always beaches, rainforest, crocs or desert. This is a nice change, and I look forward to exploring Oz one day! I love snowboarding and I want to do it whole year. There are many artificial snow parks that provide this facility. Australia is an outstanding place to spend a quality time.Many people say if anyone wants to see what the world will be in future then go to Australia.And I am pretty sure that skiing and snowboarding in Australia will be an absolute fun. OMG, this is amazing). I just back from Australia and nobody told me that we can find the place like this one. Australia is great place, and Thank’s for sharing this information would love to go out there and have some fun.